Windsor Condors set out their title intentions in unambiguous fashion in Division One of the Clacton and District League with an impressive 6-4 victory over Nomads Panthers and, in the process, ending the reigning champions' 34-match unbeaten run which stretched back nearly two years. The Condors led 3-1 and 4-2 but the Panthers fought back to level it at 4-all, forcing the Windsor side to take the last two matches of the evening to record a notable success. There were two wins each for Greg Green, Mel Rampton and Colin Stallwood, the most crucial one being Rampton's 12-10 in the fifth victory over Gill Locke. Through all this, James Denyer remained unstoppable for the Panthers, his hat-trick including a 16-18, 9-11, 13-11, 11-5, 11-6 victory over Stallwood. For the record, the Panthers' last League defeat was on 6th December 2016 when they lost 6-4, also to the Condors. Denyer and Locke were playing for the Panthers on that occasion alongside Sam Hume, whilst the Condors winning line-up was Green, Stallwood and Felipe Rodriguez. The early fixture list has not been kind to promoted Nomads Tigers. Having played the Panthers and Condors, the Division's top two sides, in their first two matches, the Tigers' third match saw them up against last season's runners-up, Walton A - who ran out 9-1 victors. Daniel Young and Jared Chelski were unbeaten for Walton. But the Tigers may feel slightly aggrieved not to have done better. Nomads' new-signing, Chris Parr, was only a fraction away from a win, going down 11-9 in the fifth to Young and 12-10 in the fifth to Paul Woolnough, whilst John Marshall and Daryl Lott lost a tight doubles, 11-5 in the decider, to Young and Chelski. Marshall took the Tigers' sole point with a win over Woolnough in the final match of the evening. Walton C will consider themselves to be the unluckiest team of the week, losing all five matches which went the distance in their 10-0 defeat at the hands of Walton B.
Derek Willis, Colin Dearman and Jason Gale all recorded hat-tricks for the winners but it was 11-6 in the fifth for Dearman against Graham Buxton and 11-8 in the fifth against the 'C' team's new recruit, Ant Beckles. 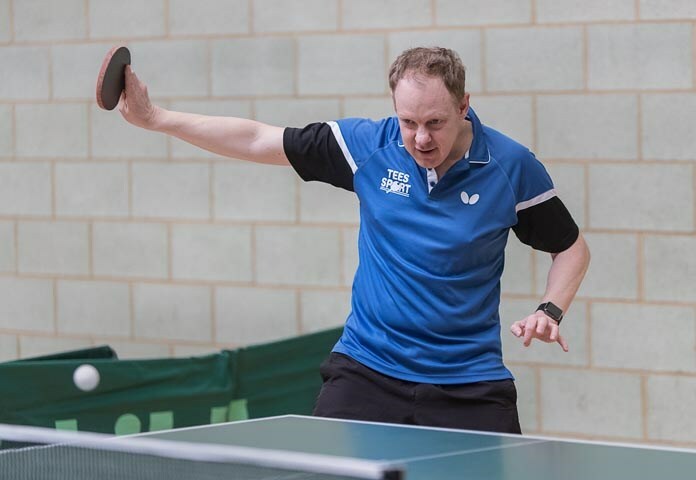 Willis scraped past Paul Newbould 13-11 in the decider, Gale edged it 15-13 in the decider against Beckles, whilst Willis and Dearman took the doubles 11-5 in the decider against Buxton and Beckles in the fifth match which went to five. Predictable trebles for Kevin Gowlett and Andy Warner gave Brotherhood C a second 7-3 win of the season, this time against Windsor Hawks. Felipe Rodriguez, Andy Vincent and George Berry took a point apiece for the Hawks. Windsor Eagles notched up their first win of the season by beating Nomads Lions 8-2. Gary Cattermole stayed undefeated, although it required a fifth set to beat Ethan Lloyd. Phil Smith won twice for the Eagles as did Sue Welham with two wins in five, including a 13-11 in the decider victory over Adam Wilkin. Ethan Lloyd took both the Lions' points. Lawford's Paul Hewitt was the best player on show in his team's match with Brotherhood D but a pair each from Scott Campbell, Russell Hillier and Grant Sharpe gave victory to the Brotherhood side 7-3. In an all-Brotherhood clash in Division Two, three for Paul Alden, and two each for John Owen and Graham Parkes, gave the 'I' team an 8-2 success over the 'F' side. Barry Allen enjoyed an 11-8 in the decider victory over Graham Parkes for the losers whilst Lee Allen surprised Owen in the opening match of the tie, winning 11-7, 11-9, 11-7. No-one remained unbeaten as Brotherhood H beat Nomads Bobcats 6-4 in a hard-fought encounter. Frank Burbidge and Mark Salter each won two for Brotherhood, as did Liam Harris and Andy Cawley for Nomads. Brotherhood's Tricia Salter had a tight 11-6 in the decider victory over Eric Lemke but went down 11-8 in the fifth to Cawley. The doubles proved to be the pivotal match, Burbidge and Mark Salter beating Harris and Lemke 11-7 in the fifth. The all-Windsor tie between the Harriers and Magpies ended in an honourable draw. Dave Martin took a treble for the Magpies, with John Plummer and Malcolm Caley chipping in with one apiece. Ferdy Rodriguez was the Harriers' best player, taking a couple. It was also all-square between Windsor Buzzards and Walton E in a match which, although ending in a draw, could easily have seen Walton winning 9-1! 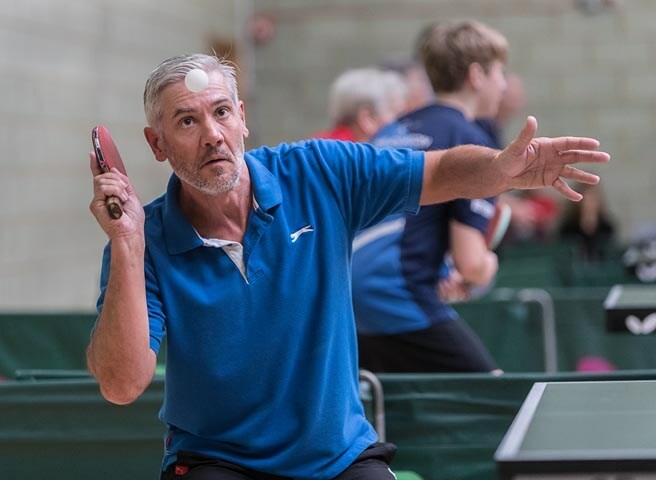 John Harvey stayed unbeaten for the Buzzards, with Dan Malinowski and Alan Rutledge winning one each, whilst Mark Ratcliffe and Gary Stallwood won two each for Walton and shared the doubles. But Harvey had two tough singles, beating Ratcliffe 11-5 in the fifth and Stallwood 13-11 in the fifth, in both cases after losing the first two sets. And Walton's Maggie Earle will feel unfortunate not to have picked up at least one point, going down 11-8 in the decider to Malinowski and 11-9 in the decider to Rutledge. Nomads Jaguars recorded their first success of the current campaign, winning 6-4 at the expense of Brotherhood G. Kevin Hume, Caroline Page and Harry Hawkes all took two whilst there were a couple for Brotherhood's Mark Beckham. Beckham was involved in the two closest encounters of the evening, beating Hawkes 11-8 in the fifth but losing out 11-4 in the fifth to Page. Surprisingly, Page failed to make it a hat-trick, losing to Brotherhood's John Gallagher. 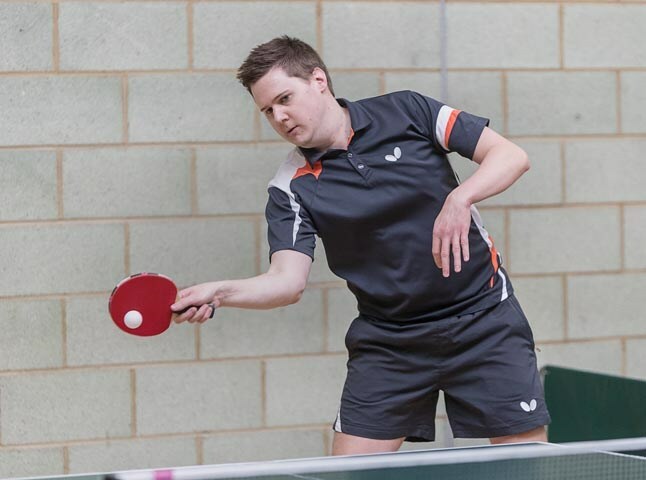 In Division Three Nomads Lynx played twice and won twice, defeating Brotherhood J 6-4 and Windsor Merlins 8-2, Mike Vilka staying undefeated in both matches. Dominic Joannou picked up a couple in the Brotherhood J match although it was a tight 11-8 in the fifth against Maci Harvey. Harley Wood won two for the losers, with Harvey and Dan Still taking one each. Joannou got another couple in the Lynx's match against the Merlins, as did Norman Jacobs. Bradley Henshaw won both Merlins' points which included an 11-7, 6-11, 16-14, 7-11, 11-3 win against Joannou. The Lynx thus maintained their unbeaten start to the season, as did Brotherhood E who were 10-0 winners against Nomads Leopards. Cris Edwards, making her first appearance of the season, Duncan Dunne and Tony Edmonds all took trebles although it was 11-7 in the decider for both Edwards and Dunne against Bob Jillins. Darren Bunce returned to League action in the colours of Windsor Penguins and ended as the only unbeaten player as his side defeated Windsor Falcons 8-2. Paul Dale and Jackie Bunce took a couple each for the winners, as did Kayley Rodriguez for the losers. Walton D eased past Nomads Ocelots 10-0, John Long, Lynette Sparks and Walton's new man, Tony Sharman, all remaining undefeated. Finally, Nomads Pumas won 7-3 against a Windsor Robins' side fielding a guest player, the tightest match being a battle of the defenders which saw Windsor's Alan Rutledge edge past Nomads' Andrew Cousins 11-9 in the fifth. Walton A 9 Nomads Tigers 1. Nomads Jaguars 6 Brotherhood G 4. Brotherhood J 4 Nomads Lynx 6.